The Internet has exploded with outrage over the re-homing of Rosa Torres's eight-month-old puppy, Raffiki. When the dog escaped from Torres's Los Angeles home in February, she was quickly taken to a local animal shelter and adopted by a new family the following week. Torres claims that when she learned Raffiki had been listed on the rescue center's website, she tried to re-adopt her own dog but was rejected by the shelter, Karma Rescue. Karma has contradicted her side of the story, saying that Raffiki -- now named Kami -- had already been adopted by her new family by the time they received Torres's request. So who should get to keep the dog? We asked you, and the results were mixed. Legally, the answer is clear: a re-homed dog like Kami does belong to the new owner, so long as she or he was adopted after a mandatory stay period in a shelter. 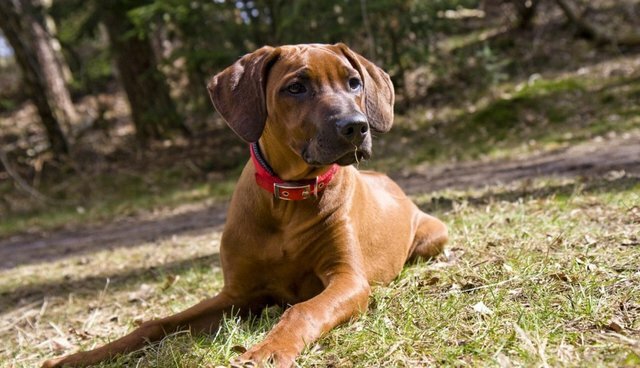 These stay periods vary from municipality to municipality, but they're intended to give pet-owners an opportunity to find their missing animals and reunite existing pet families. According to KC Theisen, Director of Pet Care Issues at the Humane Society of the United States, that's exactly what happens most of the time. "The mandatory stay period absolutely helps people find their pets," Theisen said. "Almost every shelter has a strayhold or stay period in hopes that an owner will surface for an animal. Shelters have a good bit of success returning pets to their families. It's a very rare occurrence of the family showing up too late." But Theisen says it's also rare that families will actually be able to track down their pets. Often, pet-owners are looking in the wrong place, or they haven't cast a wide enough net. That's exactly what happened with Terri Sandu, an Ohio woman who recently lost her dog in a similar scenario to Torres. Sandu called her local pound after her Rottweiler, Harley, jumped the fence in her family's backyard, but did not contact any local rescue groups -- one of which had been sheltering Sandu's dog, before they adopted her to a new family. There are a number of ways to avoid devastating situations like Torres and Sandu's -- precautions that Theisen encourages every pet-owner to take, despite the rarity of such scenarios. "What we all want is to prevent these scenarios from happening," Theisen said. "You can do a lot of things to be reunited from your pet, should you be separated, but there are also a lot of ways to not ever be separated. First and most obvious is visible ID tag and collar, worn all the time, indoors and outdoors. Make sure tags have cell phone number so you can actually be reached no matter what, because that really is an emergency." Microchipping is also a key component to keeping pets safe, she said, and she suggests that all pet-owners get their animals microchipped immediately upon adoption. In the event that pets do get separated from their owners, it's important to reach out. "There's no statistical info on re-homing, but it's a rare tragedy," Theisen reminded. "Many times, owners are looking in the wrong place for their pets. But if you just tell someone -- anyone and everyone -- about your missing pet, odds of successful union go up."